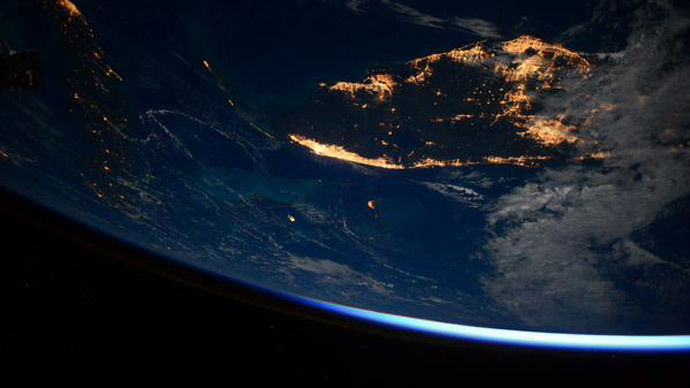 American veteran astronaut Scott Kelly, who is on a one-year mission on the International Space Station (ISS), tweets mesmerizing images of Earth from his vantage point in space. The three blasted off from the Baikonur Cosmodrome on March 27. The American and Russian astronauts’ extended stay is part of a study aimed at better understanding of spending long periods in space in a microgravity environment. Russian cosmonauts undertook extended stays in space in the 90s at the now-defunct Mir space station. Valery Polyakov holds the record for the longest single human spaceflight, spending 437 days and 18 hours on the station. Kelly aims to be the first American astronaut to spend a year in space. He and his twin brother Mark Kelly – a retired astronaut who remains on Earth – will undergo tests and experiments during the year. After the mission their stats will be compared. The Russian cosmonauts are planning to carry out 49 experiments – almost half of them medical – as well as one spacewalk.